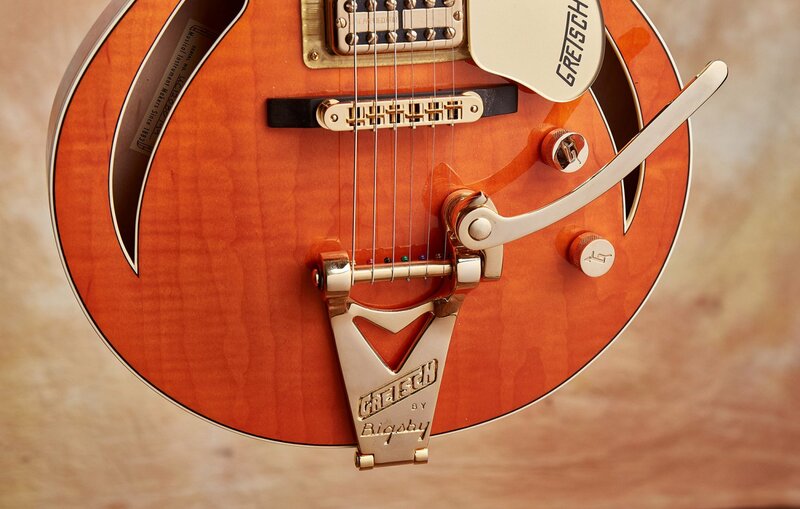 This near mint offering was the brain child of Gretsch master builder Stephen Stern, who wanted to marry the Anniversary Jr. size (14” lower bout) body with the "Classic Rocker" inlay design that he originated back in 1998 for a one-off guitar that showed at NAMM. 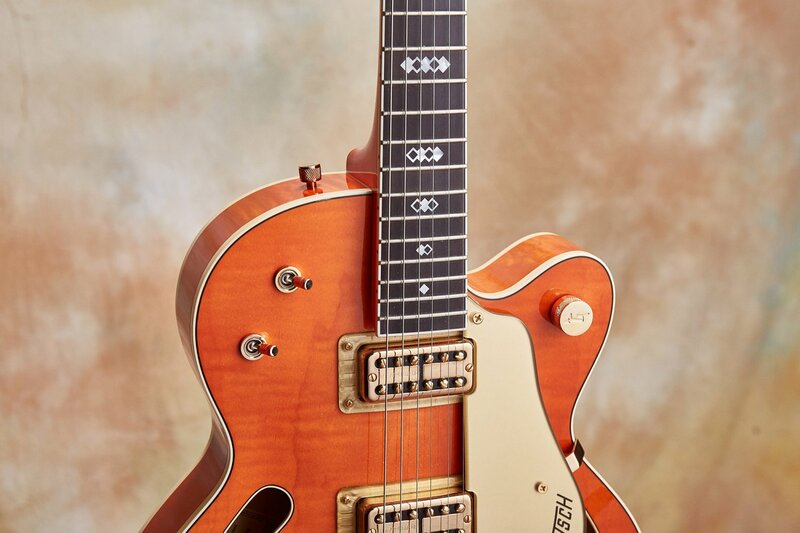 This G6158 is master built down to the bone, with outstanding playability, a vintage feeling neck carve and that quintessential Gretsch sound. When Stephen Stern builds a Gretsch it is every bit as good - possibly better? 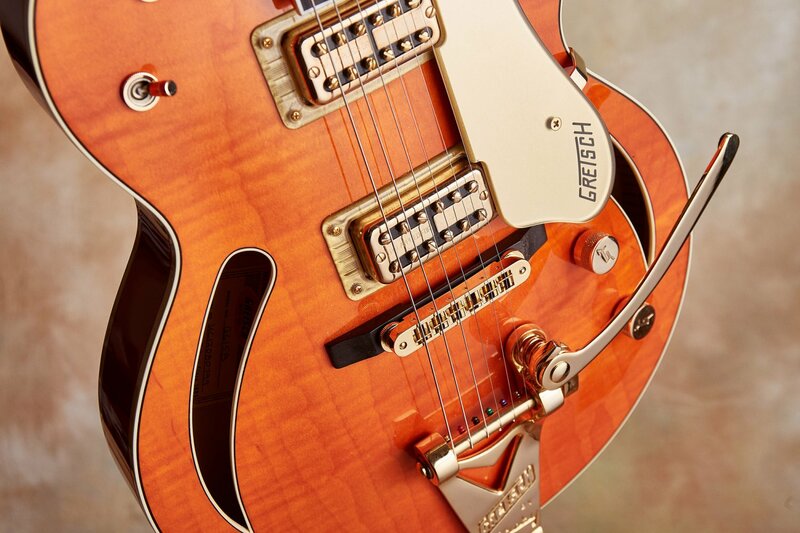 - than the very best vintage '50s Gretsch guitars available today. 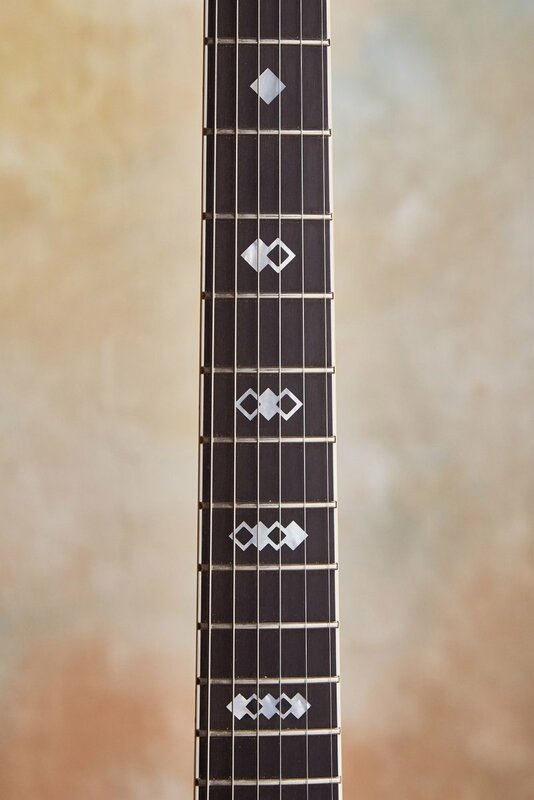 Condition: A near mint, no issue guitar. 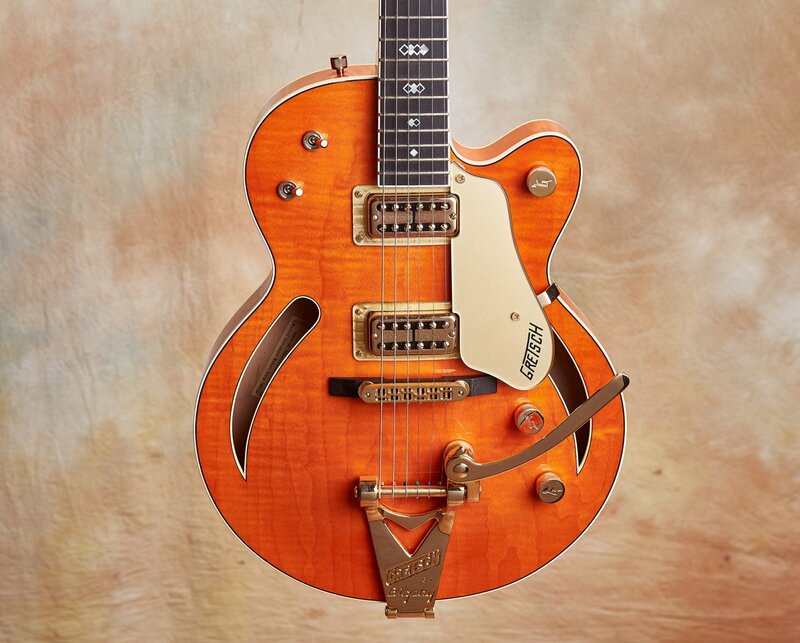 I have a special place in my heart for Gretsch guitars. 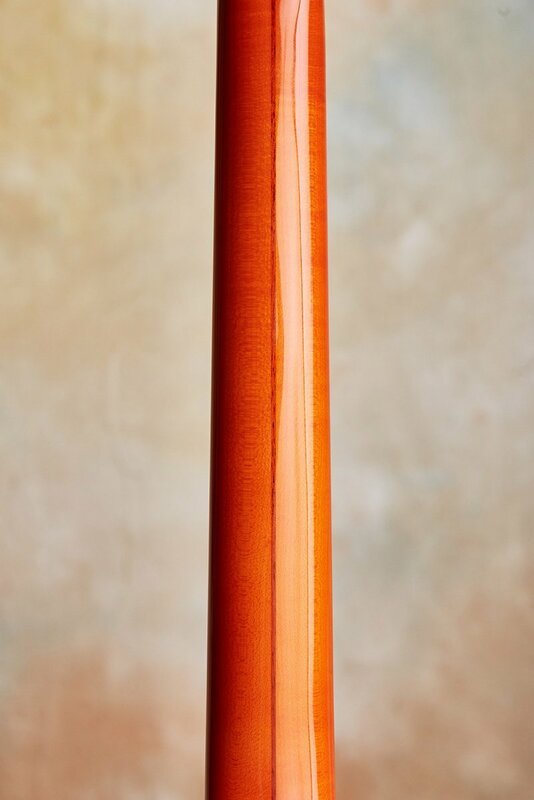 As you may know, my father owned a music store in Philadelphia when I was growing up. 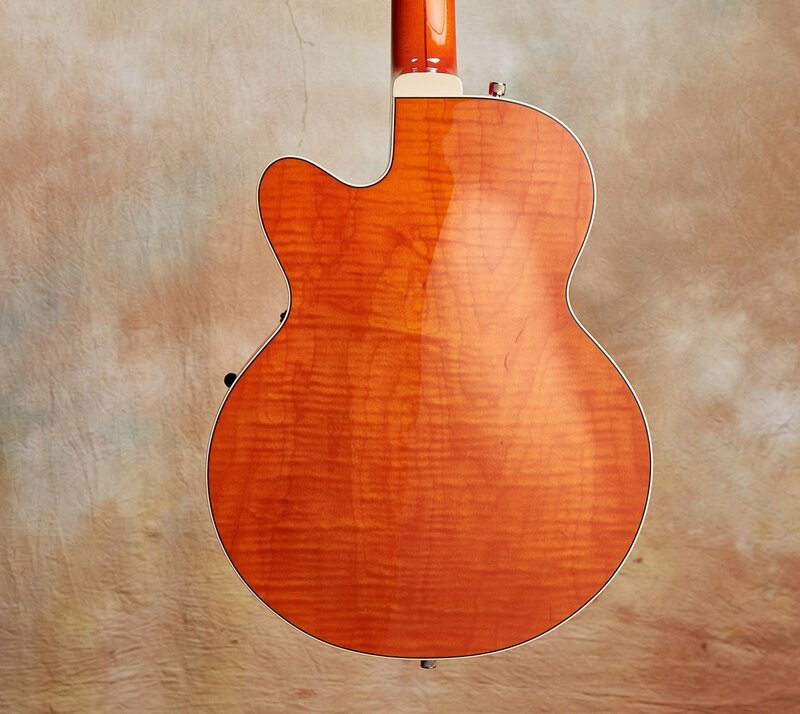 He was contacted by Gretsch to become a dealer and so one bright summer morning in 1966, he took a trip up to the factory in Williamsburg, Brooklyn with me in tow. 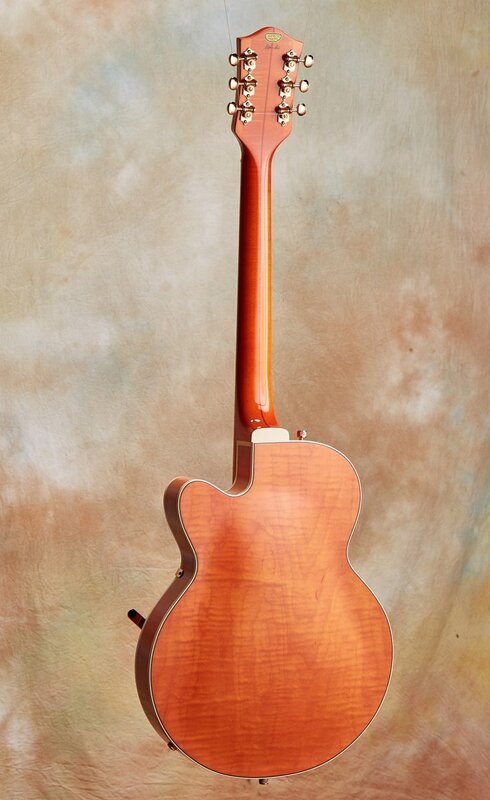 I was only 13 at the time but even at that age had a love affair with music and guitars. To this day, I remember it as being the best day I ever spent with my father. 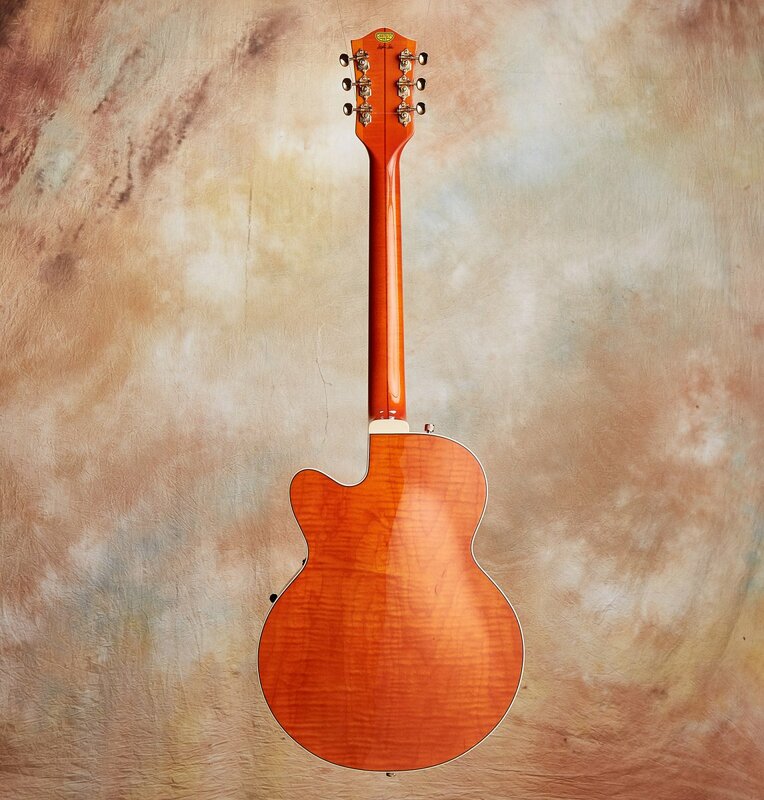 Once at the factory, I recall getting the royal treatment: It included a complete shop tour, watching the builders at work and most of all, having the opportunity to pick out a Country Gentleman model guitar for my father’s shop. 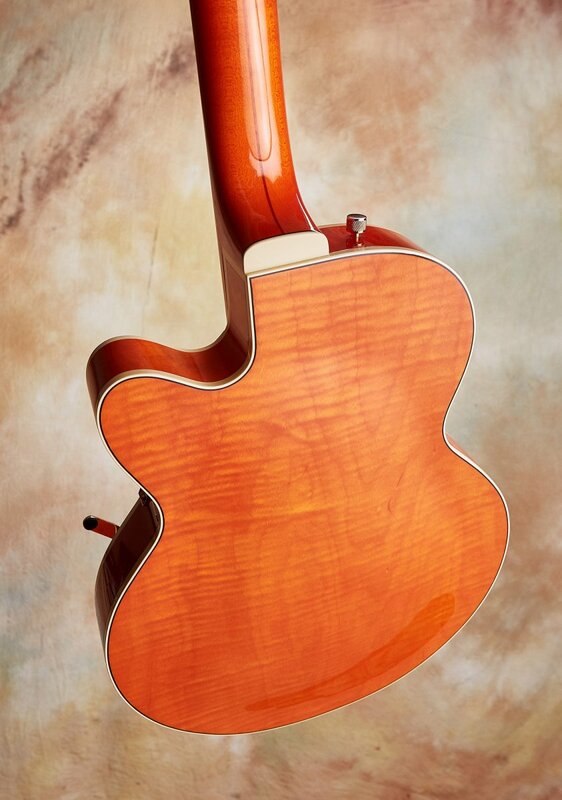 I couldn’t believe I had the good fortune to sit in a room with dozens of guitars and choose my very favorite one. 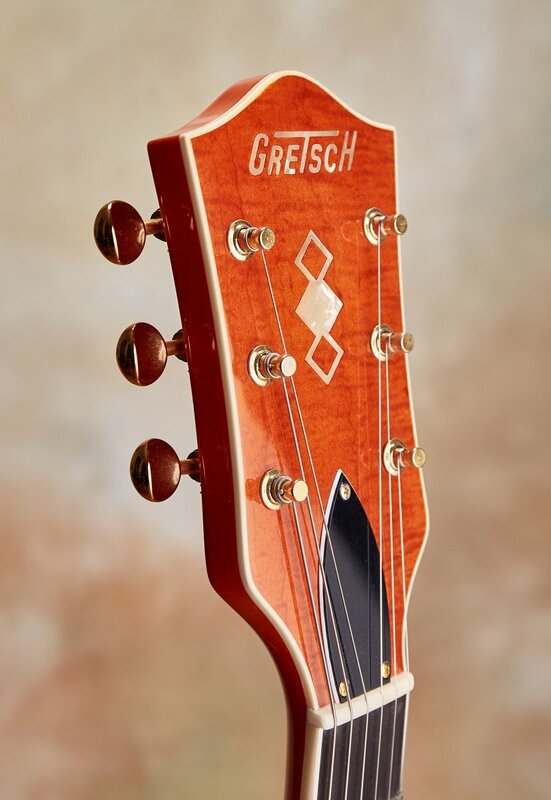 The Gretsch inspector sat with me the whole time and instructed me on what to look for to choose THE guitar from a group of nearly identical guitars. 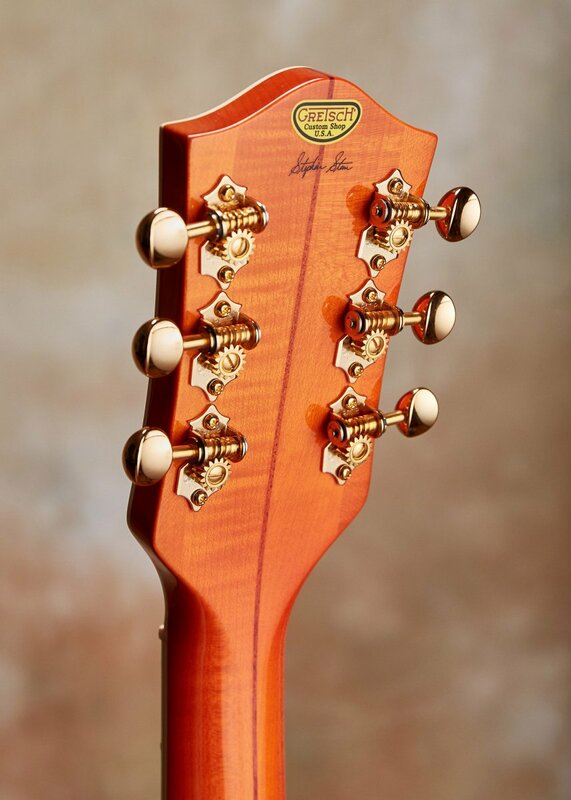 To be sensitive to all the tiny things that made one guitar superior to its brothers. What an early education! 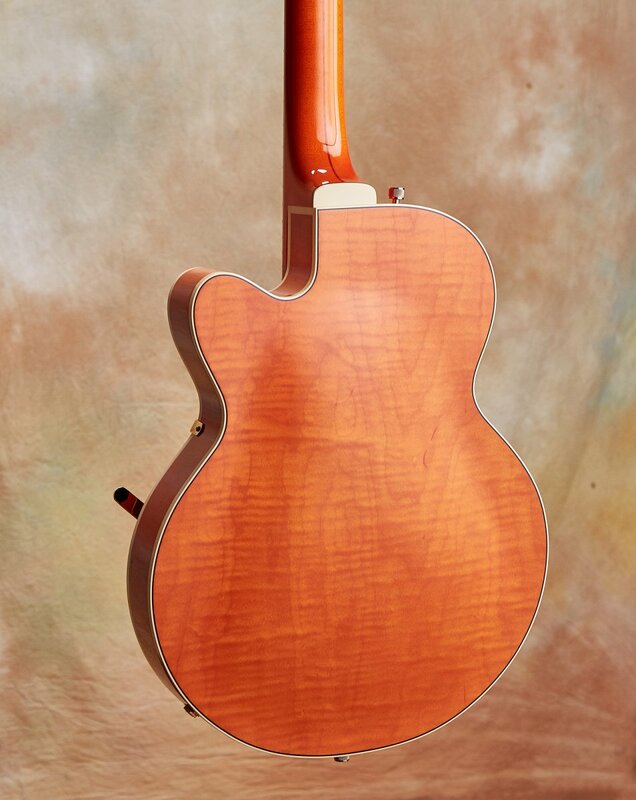 That, along with the sights and smells and the fact that I now had a faint connection with the Beatles and Chet Atkins made for a day that still puts a smile on my face. 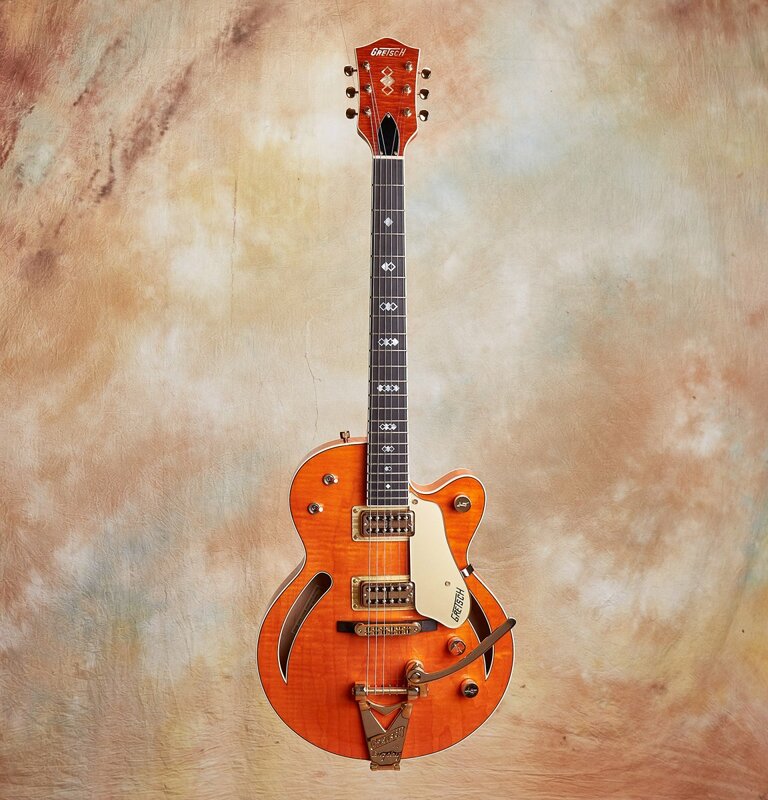 Pair my nearly life-long love of Gretsch guitars with the enormous respect I have for master builder Stephen Stern, and it's no surprise how delighted I am to be able to offer this very special preowned 2012 Gretsch Custom Model G6158. 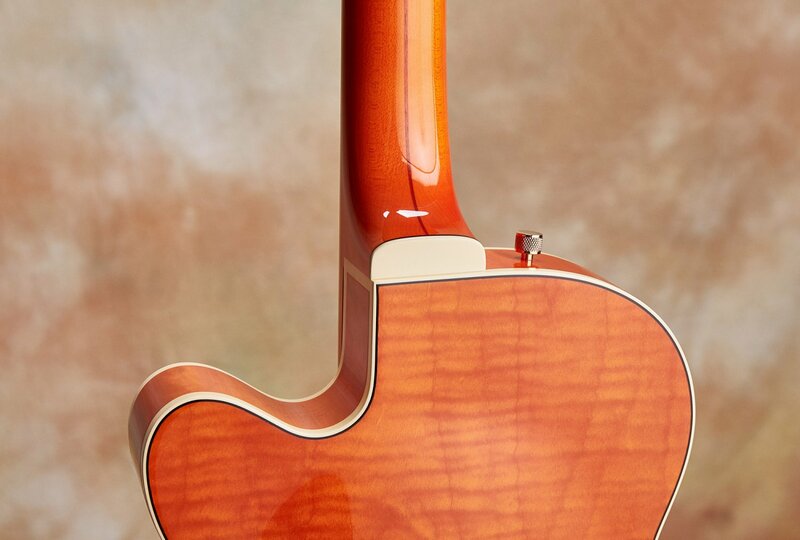 This near mint offering was the brain child of Mr Stern, who wanted to marry the Anniversary Jr. size (14” lower bout) body with the "Classic Rocker" inlay design that he originated back in 1998 for a one-off guitar that showed at NAMM. 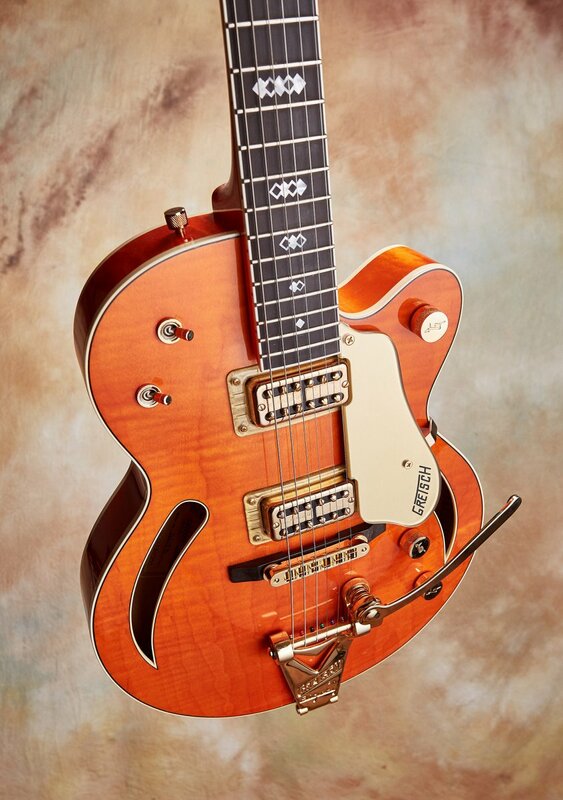 This G6158 is master built down to the bone, with outstanding playability, a vintage feeling neck carve and that quintessential Gretsch sound. 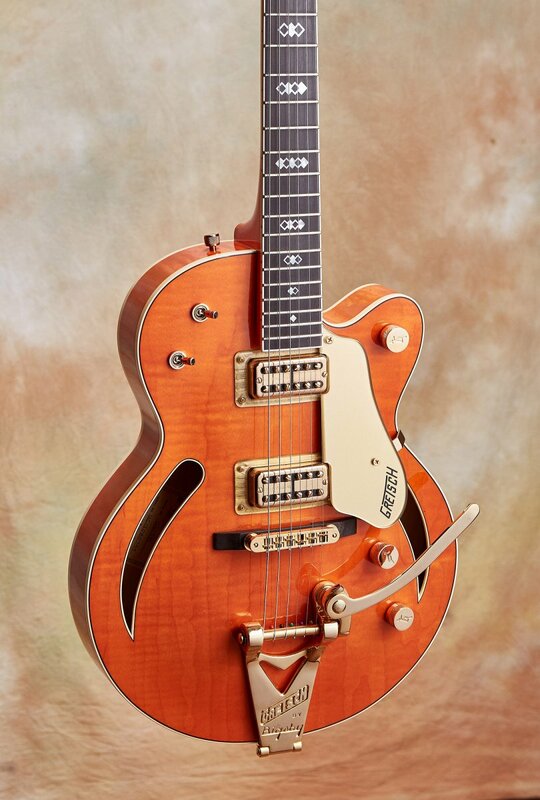 In my opinion, when Stephen Stern builds a Gretsch it is every bit as good - dare I say better? 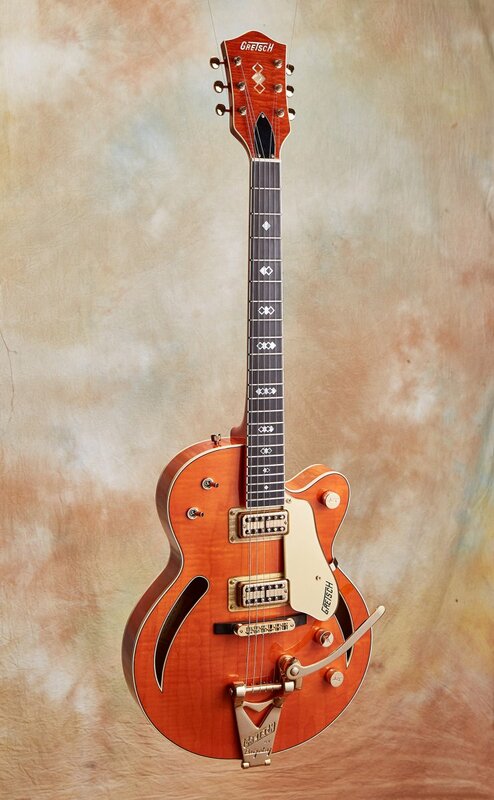 - than the very best vintage '50s Gretsch guitars available today. 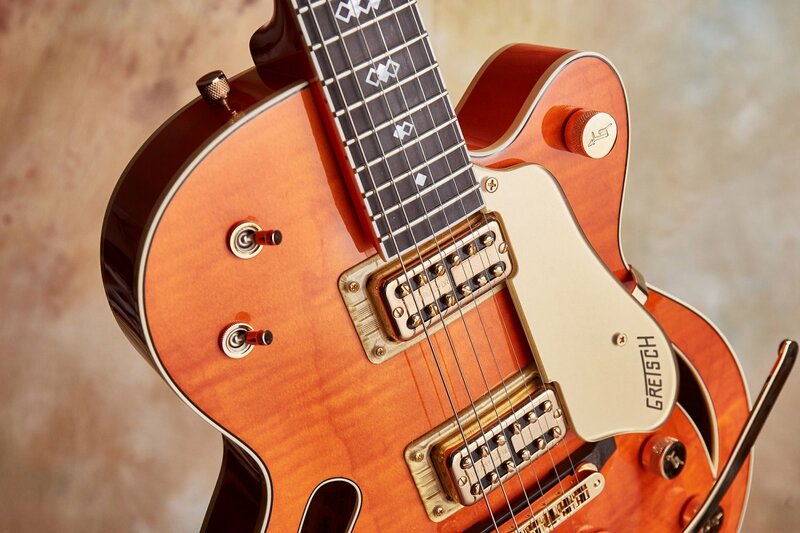 Bottom line, if you like Gretsch and appreciate master built quality by a gifted builder in a custom design, then this a supremely worthy guitar for you to discover. Call, email, check it out.